This is my personal blog, where I state my personal opinions, as well as try to promote adopting and fostering. I welcome readers to comment, and share experiences and opinions, as long as it is done in a polite respectful way. 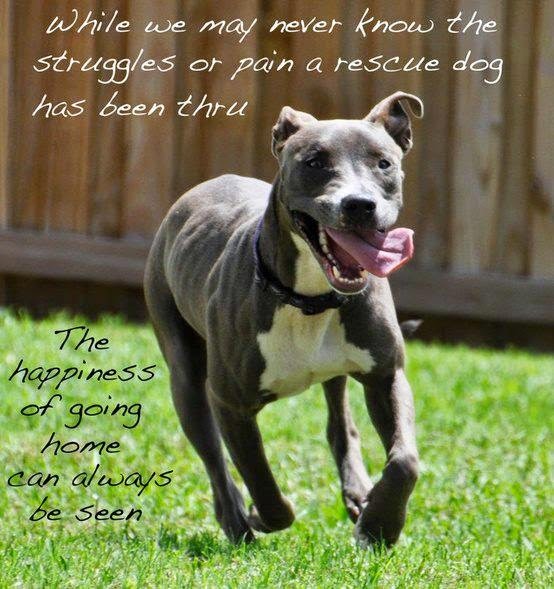 Being a part of a rescue, or volunteering in a shelter, can be a life changing, eye opening experience. You learn about the cruel people out there, who harm helpless beings for unknown reasons. You realize just how many dogs there are in need of homes. You hear the sad, silly, ridiculous, and sometimes understandable, reasons that an owner gets rid of a family pet.